The NZC inauguration in 2003.The Nansen-Zhu International Research Center (NZC) at the Institute of Atmospheric Physics (IAP) under the Chinese Academy of Sciences (CAS) was established on 3 November 2003 on the initiative of Prof. Huijun Wang, IAP/CAS and Prof. Ola M. Johannessen, Nansen Center (NERSC), Bergen. Norway. 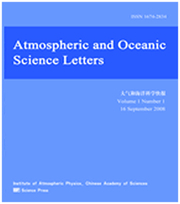 On the occasion of the 10-year anniversary of Nansen-Zhu Center a special issue of Atmospheric and Oceanic Science Letters (AOSL) has been published. The vision of the NZC is to become an internationally acknowledged climate research and training centre with emphasis on tropical and high-latitude regions, and the interactions between these regions, for past, present and future climate. NZC has now the following six partners: IAP, NERSC, Peking University (PKU), University of Bergen (UoB), Uni-Research, and Nanjing University (NJU), where the Norwegian partners are partner institutions of the Bjerknes Center for Climate Research in Bergen. NZC has been very active in publications of scientific papers and over the past 10 years NZC has published more than 400 papers in international journals. Furthermore, 37 students have received their PhDs and 13 their Master degree at IAP and PKU. At present, the NZC has a total staff of 71 including 22 PhD students, 17 Master students, and 16 associated scientists. The Editorial board of Atmospheric and Oceanic Science Letters and the Advisory Board of NZC have agreed to publish a special issue in order to bring up the latest scientific development at NZC. The invited papers are from the partners of NZC and institutions/universities in China. All submitted manuscripts were peer-reviewed. In this regard, special appreciations are given to all the referees for their constructive reviews. The AOSL special issue includes 30 papers covering paleo and present-day climate, extreme weathers in China, climate teleconnection between Arctic/Atlantic and the Asian monsoon, aerosol and climate, including melting of a glacier at Northwest Greenland. Seven scientists from NERSC in Bergen particpates in five of the published papers and four scientists from the Nansen Environmental Resercah Centre - India (NERCI) have contributed with one paper on variability of the Indian summer monsoon rainfall.